When you get low on fuel in your traditional vehicle, you stop in at a gas station, pump a full tank in less than 5 minutes, and go on your merry way for 500 plus miles. In electric cars, when you get low on fuel, in this case electricity, you have to find a charging station, which aren’t yet nearly as plentiful as gas stations, and then sit there for up to 8 hours for a full charge before you can continue on your way. Obviously, this isn’t going to be ideal for many situations and impossible for some. EV manufacturers understand this and are hard at work on a number of solutions to address the limitations of EVs. Superchargers are a concept from Tesla that they believe is the first step toward making electric cars more widely accepted by significantly decreasing the recharge time. Superchargers are high power charging outlets that makes 120 kW of power compared to the 6.6 kW charger or 10 kW chargers found on the Leaf and Model S respectively. A supercharger can fully recharge an 85 kWh Model S in 1 hour and reach an 80% charge in 30 minutes. Currently, supercharger technology only works with Teslas – but, with Tesla opening up their patents to competitors, it’s only a matter of time before this kind of performance is standard. The pros of the supercharger are that you can get a significant charge much faster than a traditional charger and that the concept is versatile and could be adapted for all models of EVs. The cons are that it still takes longer than a traditional car at a gas station and that the supercharging stations are not yet widely available. Tesla recently introduced battery swaps as a potential method to refuel electric cars quickly, which involves removing the depleted battery from the car and plugging in a new one, much like you would on your laptop or phone. Tesla estimates it will take less than 3 minutes and will provide your car with a new fully charged battery in that time. The pros of a battery swap are that you can get a full charge very quickly and it doesn’t require much new technology to implement. The cons are that battery swaps would be model specific (you can’t swap a Leaf’s battery for a Model S battery), and you could only swap batteries out at a swap station. This limits the versatility of the method and would require a long lead time to build a network swap stations for your car across the country. 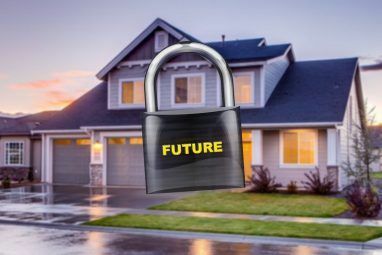 Mixing everyone’s batteries into a communal pool may also have unidentified ramifications when things like warranties and repairs come along. Capacitors are often used today in hybrid vehicles, because they can discharge/recharge quickly and are a good source of small amounts of energy. 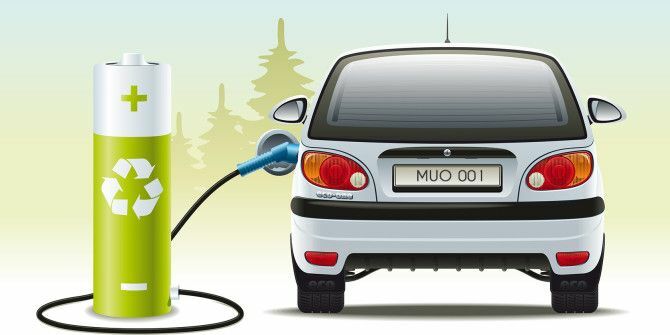 Unfortunately, traditional capacitors can only hold about 5% of the energy that a similarly sized Lithium Ion battery can, making them poor energy sources for EVs. 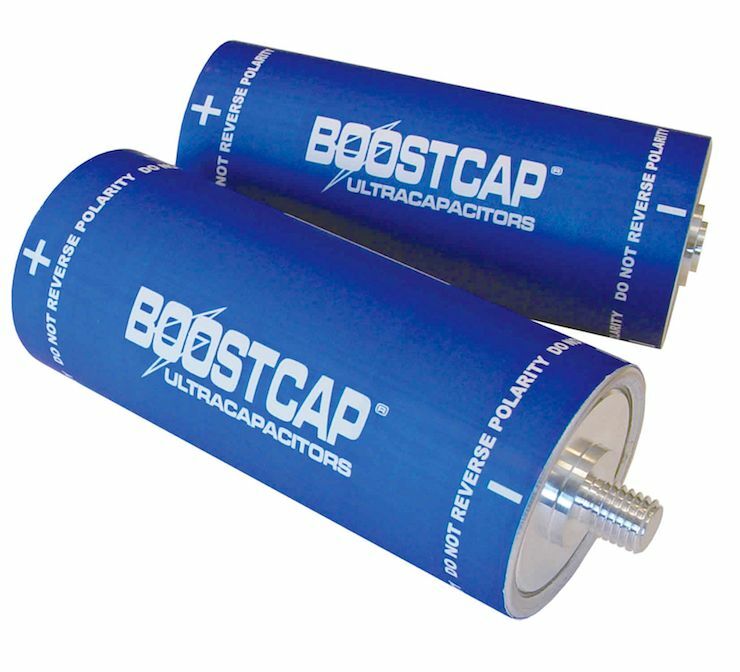 Ultracapacitors are basically extremely high capacity capacitors. Theoretically, ultracapacitors will be able to store nearly as much energy as a Lithium Ion battery, but will be able to recharge in a matter of seconds rather than hours. MIT has been working on them for quite some time now and successful development and production of them could completely revolutionize EVs. Charging stations, would still exist, but stopping for a full charge would be much like stopping for gas in terms of time. The pros of ultracapacitors are that they charge extremely quickly, are not as sensitive to temperature, and have a much longer lifespan than traditional batteries. The cons are that they are still in the relatively early stages of research and development and will take quite some time before they are commercially available. Inductive charging is not a new idea, or even new to electric cars, but that is static inductive charging, which really helps you out if you can’t remember to plug in your car at night. Dynamic induction charging takes the concept of static inductive charging and brings it to the road so that your car recharges while you’re driving, virtually eliminating the need to stop and charge. While the technology isn’t yet fully developed, it holds a huge amount of promise for electric cars. The pros of dynamic inductive charging are that you don’t have to stop and recharge the car’s batteries. 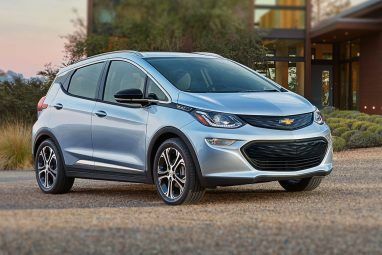 This has widespread impacts from decreasing the size of the battery needed to power the EV to eliminating the need for charging stations all together. The cons of it are that it’s relatively immature technology and requires a significant amount of research and development prior to implementation. The infrastructure required to install a wide-spread inductive charging grid is also much more significant than many of the other methods as it would entail rebuilding entire road systems. 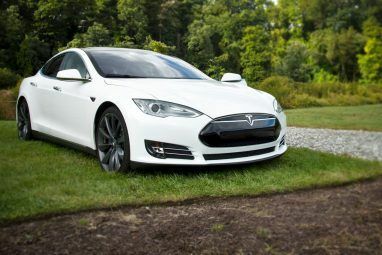 Despite EV’s current limitations, they’re still a great option No, Low Gas Prices Are Not the End of the Electric Car No, Low Gas Prices Are Not the End of the Electric Car Do falling gas prices spell the end for electric cars like the Tesla Model S? Not so fast. Gas prices aren't the whole story. Read More for many people (particularly in conjunction with an inexpensive gas-powered second vehicle). If you’re in the market or interested in a new one, be sure to check out this post 3 Websites To Help You Research or Buy A Car 3 Websites To Help You Research or Buy A Car Read More . The future for EVs is bright as they continue to be a promising option for replacing gasoline vehicles altogether. Whether they use supercharging stations or dynamic inductive charging, one thing is clear, and that is EV’s will continue to charge faster and more reliably. Someday we may even scoff at the 5 minutes we spend stopping for gas every few hundred miles as we drive along in our efficient and environmentally friendly EV’s without the need to ever stop (at least for the car’s sake). Explore more about: Electric Car, Tesla. Most Sites Can Be Accessed Worldwide. Whenever A Need For A Conversion Might Come In Handy, Can You Post Both Units ? For Example: Miles And Kilometers ? How much extra space (if any) do these charging stations take? Maybe the regular stations can replace at least one fuel station for an electric charging station. Every fuel station has electricity, so isn't it just a matter of installing a charging station for cars? I understand it isn't a quick installation, but it means no extra land space is required. I didn't read the entire article, so if it's been mentioned or explained in the article, my apologies for missing it. Nissan has a 24 kilowatt-hours (86 MJ) lithium ion battery pack (en.wikipedia.org/wiki/Nissan_Leaf) not a 14 KWh as stated above article. Nissan Leaf also supports DC fast charging the battery pack to 80% capacity in about 30 minutes. Tesla Supercharger technology is obviously more superior compared to CHAdeMO protocol used by Nissan. "which involves removing the depleted battery from the car and plugging in a new one, much like you would on your laptop or phone"
"you can’t swap a Leaf’s battery for a Model S battery"
That's what the battery swap concept is advertising though. You're right in that they are complex and weigh hundreds of pounds, but that's why Tesla is doing the engineering to make a machine autonomously swap entire battery packs, so the driver/owner wouldn't be swapping them with their own hands. There are also many other details to work out since you would no longer be owning your car's battery. It would be great if manufacturers did get together to make common batteries, but I too would be very surprised to see that happen anytime soon.